You want a good life, you want more. In the aftermath of last August’s England riots, the hitherto ignored ‘youth’ of the country’s most deprived areas fell under the combined glare of the media and political spotlight as onlookers and victims alike scrabbled for an answer to the question; What the hell happened? Hardliners branded rioters as ‘feral youth’ and demanded extra punitive sentences whilst others attempted to place the lawlessness in the wider context of societal decay rife throughout all strata of British society. Aside from the odd vox pop sandwiched between opposing opinions of experts, young people from the affected areas were largely excluded from the conversation. Under the banner of the First Light scheme, director Peter Snelling worked with volunteers from Northside Youth Club in Edmonton, London to create the documentary Braveface. 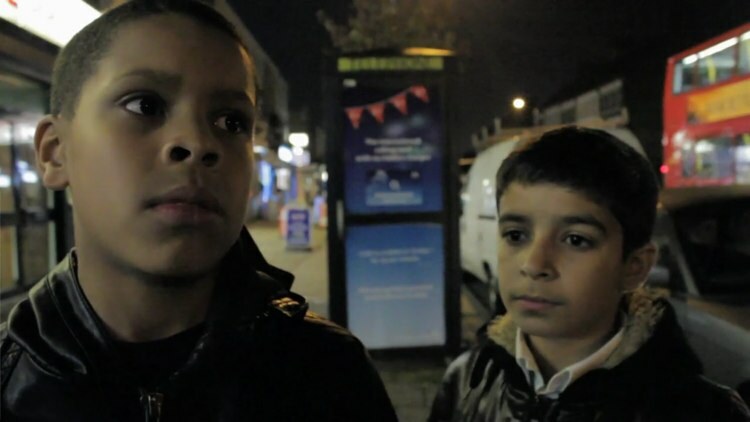 As well as operating the cameras, recording sound and writing the film’s music, the youth volunteers formulated questions in an attempt to get at their own answers as to the ‘why’ of the riots. They may have come away with a similar pool of responses to those discussed in the popular press – consumerism, lack of discipline, diminished life opportunities – but it’s good to see someone finally ask them what they think.